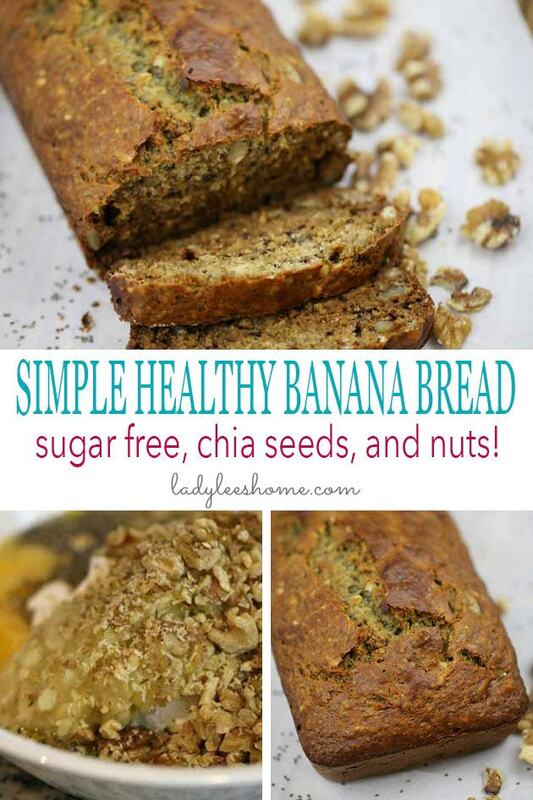 This is a super simple healthy banana bread recipe. It’s sugar-free and you can make it with all-purpose flour or substitute for whole wheat flour. 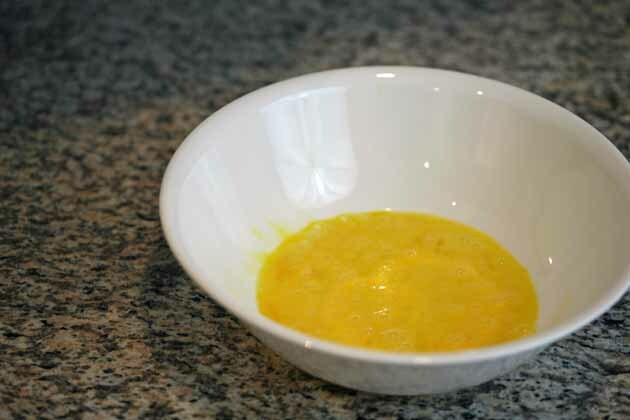 You can make it with canola oil or make it healthier with coconut oil instead. I love adding chia seeds and nuts but you can also add raisins, chocolate chips, dry cranberries… Really, the possibilities are endless. It’s a basic recipe that I like to make just a little bit different every time. Once during the growing season, I made the hour and fifteen minutes drive to the state farmer’s market. It’s like a big festival and I just love seeing everything that the farmers have to offer. It’s a market much larger than we have here in our small town. I was walking around and a farmer offered me to buy a huge box of bananas for $5. Just a side note here… We are in NC, yes? No one grows bananas here. 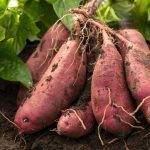 I say this to make sure you realize that (especially at those huge farmer’s markets) not all the sellers are actually farmers and not all the food is locally grown and organic. You really want to know your farmer… Or grow things on your own. Anyway, I still love the market and I couldn’t say no to 70 bananas for $5. So I got the huge box and headed home. 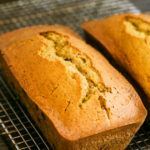 Most of the bananas were sent to the freezer, we ate a whole lot of fresh bananas that week, and I also made this simple healthy banana bread. 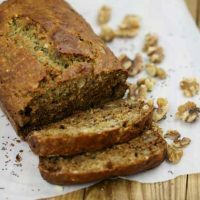 There are so many banana bread recipes online but I always like messing with the ingredients myself and coming up with a healthier yet tasty version. I love having one go-to recipe that allows me to play around and add different things each time. This is one of those recipes. You can use it as a base recipe and add different things to it each time you make it. 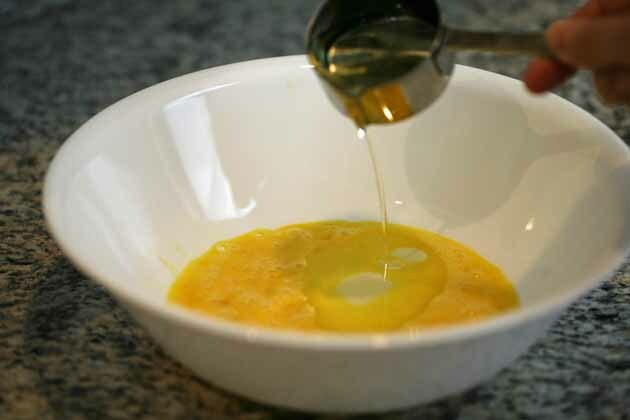 Add 1/4 cup vegetable oil or, if you want to make it healthier, use coconut oil instead. 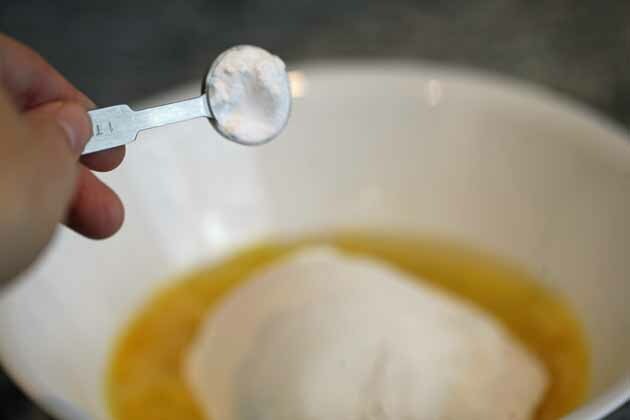 Add 1/4 cup honey and 1/4 cup milk and whisk it all together well. 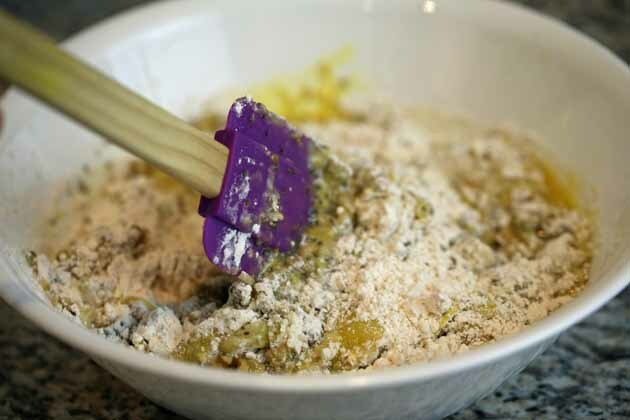 Next, add 1 1/2 cups all-purpose flour. I’ve also made it a few times with whole wheat flour and it came out just as good. 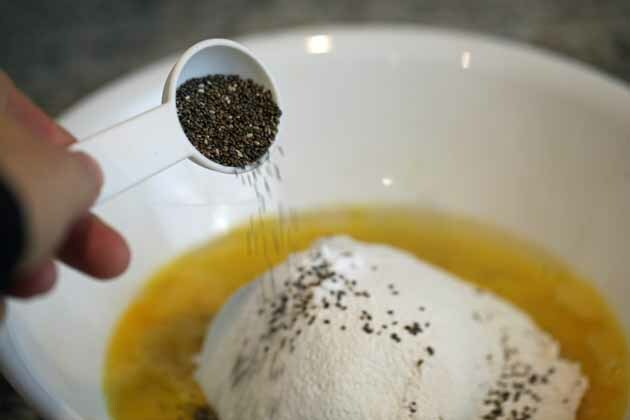 And two tablespoons chia seeds. 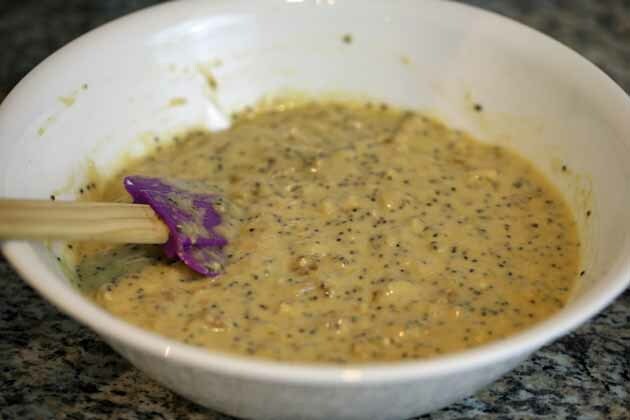 I love chia seeds! They are so healthy, so easy to add to baked goods or smoothies and they add a fun crunch. I always have them in the fridge and sneak them in everywhere I can. 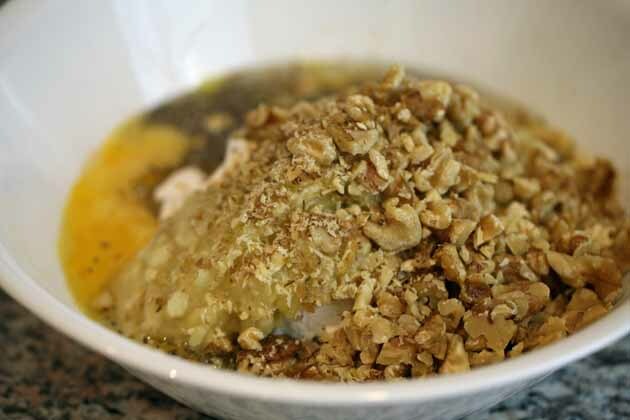 Mash two large bananas with a fork on a plate and then add them to the bowl with the rest of the ingredients. Then add 1 cup of whatever add-in you’d like. I added walnuts here. You can do raisins, pecans, cashews, peanuts, chocolate chips, dry cranberries… There are so many options! You can also add 1/2 cup of two different things, like 1/2 cup walnuts and 1/2 cup chocolate chips for example. Until all the ingredients are well combined. 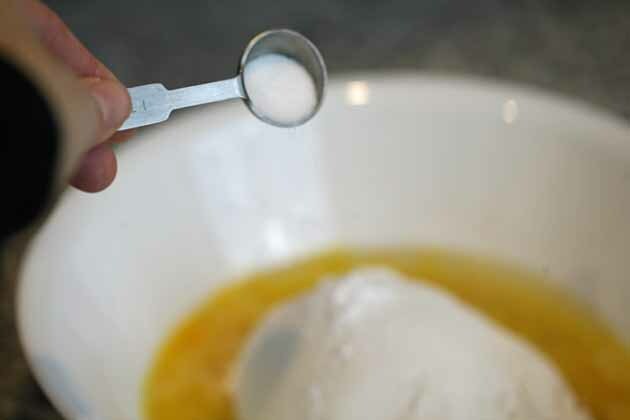 Butter a 9×5 loaf pan and pour the batter into it. Bake for 50 min on 350F. That’s it! To check that the bread is done you can stick a toothpick in its center if the toothpick comes out clean the bread is baked all the way. I leave it in the loaf pan to cool for ten minutes and them take it out of the pan and place on a cooling rack to cool completely (I then return it to the same pan). This is a regular bread at our house. I make it for breakfast or as something to snack on during the day. I often make a few of them and freeze a couple for later. And I also use my frozen bananas to make it (and to make smoothies). 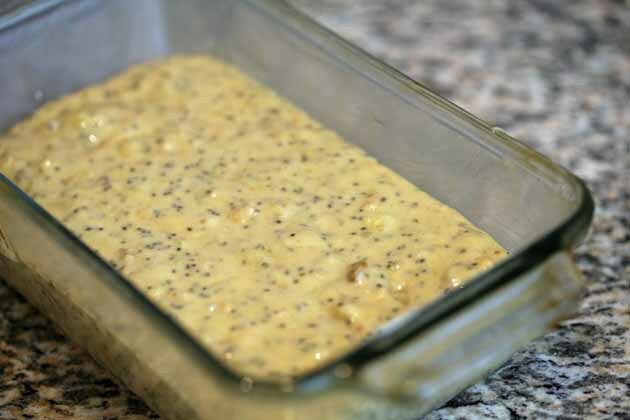 Since I have a whole lot of bananas in the freezer I see many banana breads in our future. No one is going to complain about that! 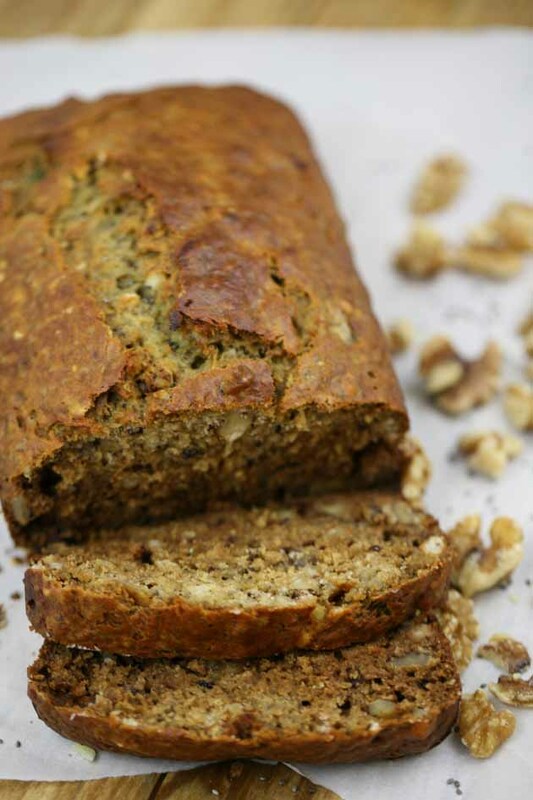 Healthy sugar-free banana bread recipe with chia seeds and nuts. 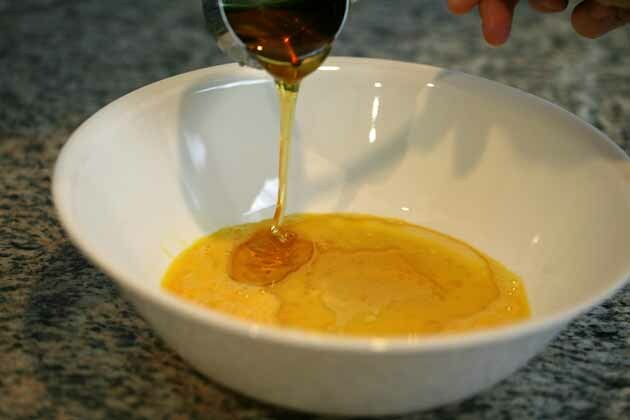 Add eggs, milk, oil, and honey into a large mixing bowl and mix well to combine. 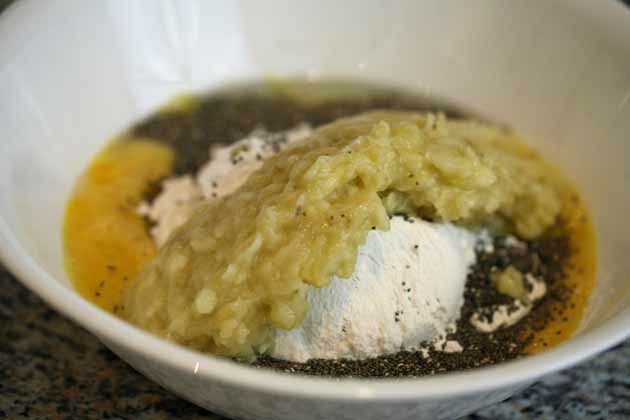 Add the flour, baking soda, salt, chia seeds, bananas, and add-ins and mix it all together well. 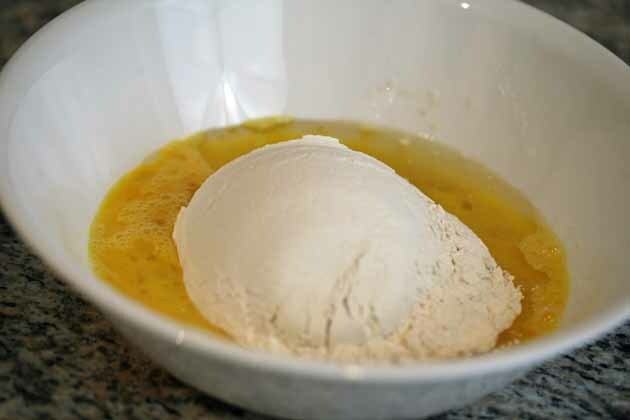 Butter a 9x5 loaf pan and transfer the batter into the pan. Bake for about 50 min. 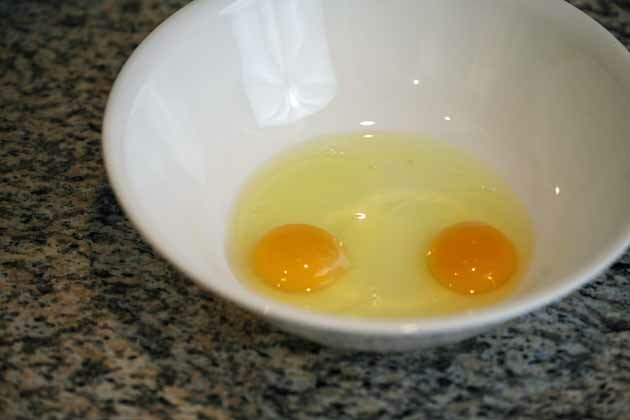 Hi, I am making it now but saw you forgot the honey in the stated recipe. Ooops, sorry. I will add it. Let me know what you think. Is it sweet enough for you guys?